SBBS has six highly-trained and certified K9 detectives. 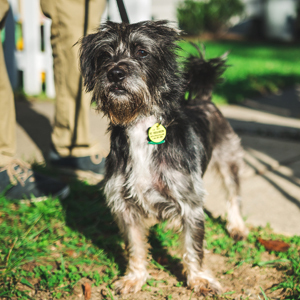 Our canines were rescued from a shelter and trained to sniff out bed bugs at all life stages. Our original K9 inspector. Grumpy but experienced! Don’t let his good looks fool you. Sherlock stays on case until the bed bugs are found. Fiery and playful. Angel never tires of finding bed bugs. Part lab and part greyhound. This unique mix gives him amazing scent abilities with increased lung capacity allowing him work at an extremely fast pace. Bred for scent work. Don’t let his tough exterior fool you, he is the sweetest of all our dogs. Our newest addition to the team. Missing an ear like the artist, our Van Gogh is makes bed bug detection an art. Our canines were trained by the Forensic and Scientific Investigation Institute, where they work with master trainer and Police Chief, David Latimer. Our canines were trained using scent vials that developed their abilities to pinpoint live bed bugs and viable bed bug eggs. They trained alongside police, arson and bomb squad dogs to distinguish between odors and track the scent of bedbugs to their source. Our staff trains with our canines daily to maintain their expert detection abilities. All of our canine teams are annually certified by either the World Dog Detection Organization (WDDO) or the Integrated Bed Bug Management Association (IBBMA) as bed bug dog detection teams.